"Dammit! Are you leaving or not?!" "Leaving? Why on Earth would you think that?" 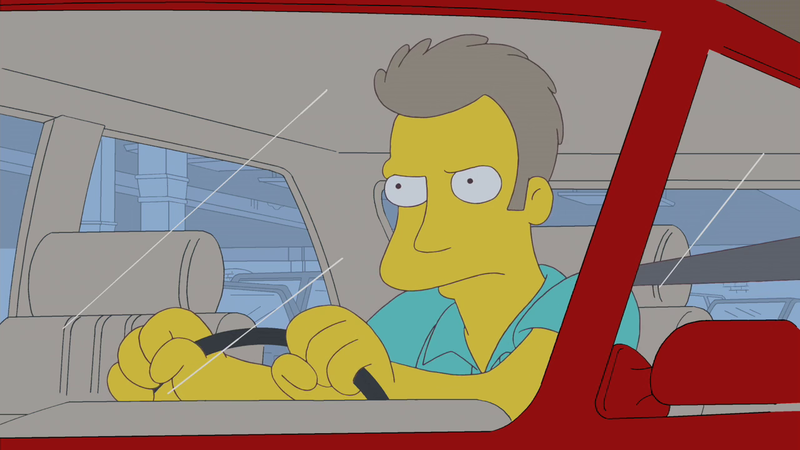 The angry driver was a driver in the Towne Centre at Springfielde Glenne parking lot when the Simpsons visited. He once thought that the Simpsons were leaving when they were in fact pretending to leave to wind him up. Once Homer told the driver "Leaving? Why on Earth would you think that? ", he drove off in anger. Modified on February 28, 2018, at 11:14.